Is It Safe To Eat Edamame During Pregnancy? How Can You Eat Edamame While Pregnant? There is no wonder edamame is a protein-rich food that is extremely healthy and beneficial. But then, can you include it in your pregnancy diet? Would it be safe for consumption of edamame during pregnancy or does it lead to further complications? This post clears those doubts. Read ahead to know more. Edamame refers to soybeans that are not fully ripe. The harvesting of edamame occurs when the beans are yet to reach their full maturity. Edamame is widely eaten in Japan. Recently, Edamame has also become a popular snack food across many other parts of the world. Since edamame is less mature than soybeans, there are some differences in the nutritional content of both foods. But both are healthy sources of protein and other essential nutrients. 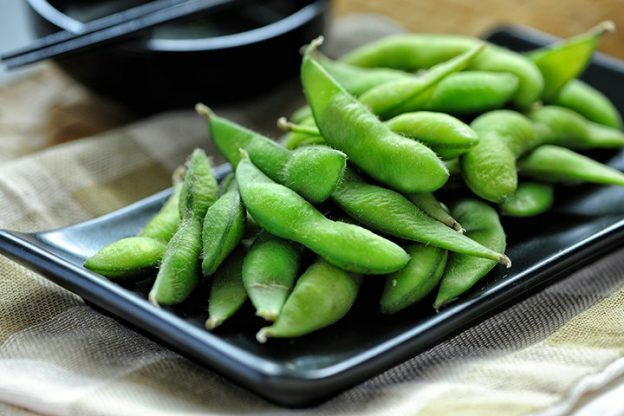 Edamame also provides daily value percentages (% DV) of iron (10%), calcium (4%), Vitamin C (10%), and vitamin A (8%). 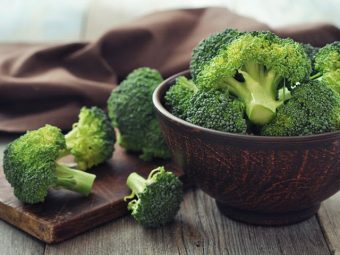 It is also a good source of manganese, potassium, copper, phosphorous, riboflavin, vitamin K, folate and omega-3 fatty acids. Pregnant women can eat a serving of edamame a day without any problems. But there are several concerns with soy consumption during pregnancy. Therefore, if you are pregnant, you must only consume any type of soy product after the approval of your doctor. Also, it is best to consume organic soy products at all times but especially during your pregnancy. The research on health benefits of edamame or soybeans is ongoing. However, it is said to be good for cardiac health, type 2 diabetes, obesity, and bone health. It also provides relief from menopause symptoms such as hot flashes and protects from both cancer and neurodegenerative disorders due to its high antioxidant content . Edamame is a great source of plant-based protein. Pregnant women who follow a vegetarian or a vegan diet can regularly eat edamame for their protein intake. 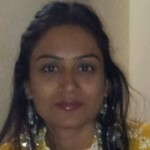 It is also a good source of calcium and protein for women who suffer from lactose intolerance. All legumes are rich in nutrients but low in calories. The body processes carbohydrates found in legumes at a steady pace and therefore, consumption of legumes helps keep hunger pangs at bay. A small serving of legumes like edamame can provide you a generous mix of carbohydrates and numerous antioxidants in one meal . Edamame is a good source of folate (a type of B-vitamin). While folate naturally occurs in foods, it is added to food sources as folic acid. Folate minimizes the risk of birth defects in fetuses. It can also reduce the risk of premature labor. Soybeans in all forms are good sources of this essential vitamin for pregnant women and those women who are planning their pregnancies , . Pregnant women with soy allergies obviously cannot consume edamame or soy in any form. However, pregnant women who are not allergic to soy must also not take soy supplements without the consent of their doctors. Signs of soy allergy are nausea, hives, itching, diarrhea and flushed skin. Pregnant women who are on blood-thinning drugs must refrain from eating soy products as it increases the risk of bleeding. If you are taking antidepressants, you should remember to not eat soy products. Eating soy products in large quantities can produce side effects such as diarrhea, constipation and stomach cramps . All soy products including edamame contain large quantities of plant estrogen such as isoflavones. According to one research, neonatal exposure to estrogen can adversely affect the reproductive health of females later in life. In fact, estrogenic chemical exposure can affect female children right from the fetal stage to their adolescence. There is a risk for pregnant women consuming genetically-modified soy instead of organic soy. Crops that are genetically-engineered increase the risk of fertility problems and may affect your reproductive health. Genetically-modified and even conventional soy receive herbicide treatment containing a substance called glyphosate, which is known to increase the risk of miscarriages . Considering you can eat edamame during pregnancy i.e. you have the doctor’s approval, you don’t suffer from soy allergies or any health concerns that can be aggravated by soy, edamame can provide you with good nutrition during your term. Edamame is available in frozen form in most grocery or health food stores. You can buy shelled edamame or ones still intact in their pods. Here are some ways you can use edamame for your everyday meals during your pregnancy . Steam or boil edamame for 10 minutes in salted water. You can cook edamame in their pods or shell the beans – either way is fine. It is a matter of preference. Remove from heat and once cool, you can enjoy a healthy snack that fills you up nicely due to its good fiber content. Add cooked or raw edamame to your fresh salads, soups, pasta, and rice dishes. Make a thick paste of raw edamame and mix it with avocado, artichoke, tomato or herbs such as mint to make healthy dips. You can add edamame to scrambled eggs and further fortify your dish with vegetables like spinach, peppers, onion, broccoli and a bit of cheese. You can mix edamame with some roasted peanuts or other roasted legumes for a healthy snack full of proteins. So, you can eat edamame when pregnant. But if you can’t consume soy products, there are plenty of vegetarian and vegan options for proteins such as kidney beans, lentils and other varieties of legumes. 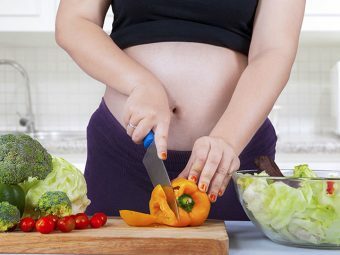 The important thing is to eat right during your pregnancy, follow your doctor’s advice and take care of your health and that of your unborn baby. Did you eat edamame or any other plant-based sources of proteins during your pregnancy? Please share your experiences with us. Is It Safe To Eat Jalapenos During Pregnancy? 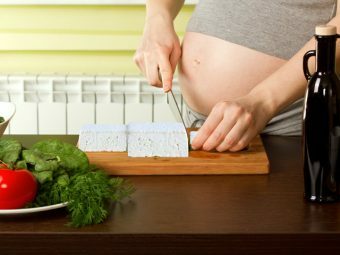 Is It Safe To Eat Tofu During Pregnancy? 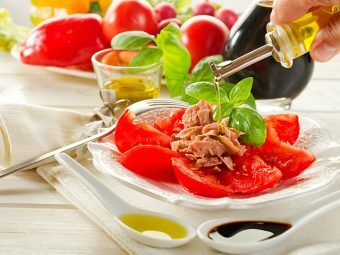 Twin Pregnancy Diet – What You Should Eat? 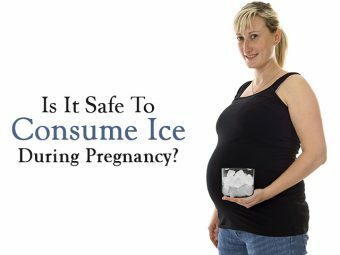 Is It Safe To Consume Ice During Pregnancy?